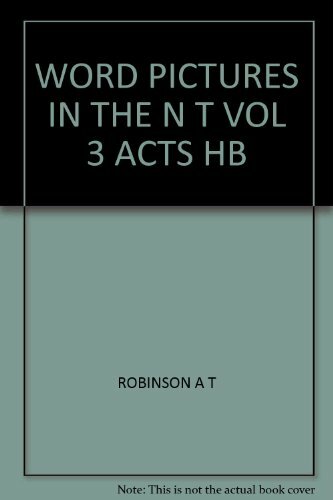 Verse-by-Verse Commentary on the New Testament Book of Acts.The Book of Acts grabs our attention as it shows the greatness of the Holy Spirit’s work among the earliest Christians. 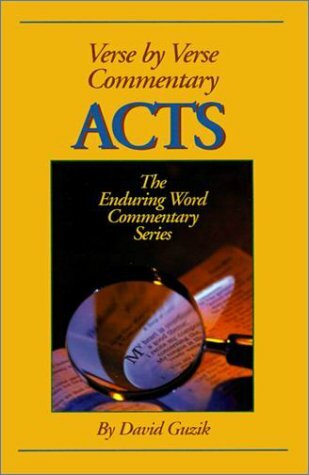 The Holy Spirit isn’t finished with His Acts, but to live in the greatness of His work today we need to understand the Book of Acts.This is an updated second edition of the print commentary first published in 2000. This is another of David Guzik's well-received Bible commentaries, on the important New Testament Book of Acts - the book of the Bible still being written. 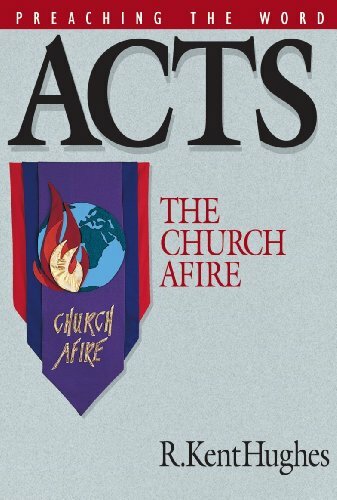 The Book of Acts grabs our attention as it shows the greatness of the Holy Spirit’s work among the earliest Christians. The Holy Spirit isn’t finished with His Acts, but to live in the greatness of His work today, we need to understand the Book of Acts. 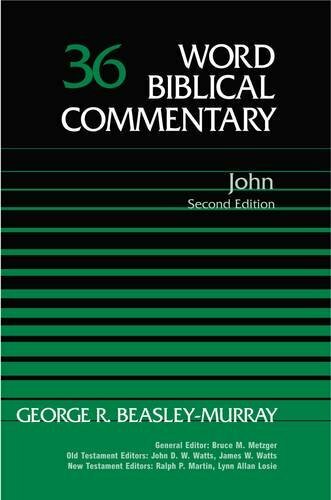 These commentaries are acclaimed for their accuracy, thoroughness, and helpfulness. Dynamic churches—congregations that are experiencing phenomenal growth, Christian ministries that God is using to take down walls, churches where souls are being saved and lives transformed–inspire us and make for great reading. The book of Acts, the divinely inspired history of the early church, is all this and more.In the author's words: "One reason I love to study the book of Acts is its uniqueness. It is the sourcebook for the spread of early Christianity. Without it we would know little about the apostolic church except what could be gleaned from Paul's epistles. It is the chronicle of the spreading flame of the Holy Spirit. 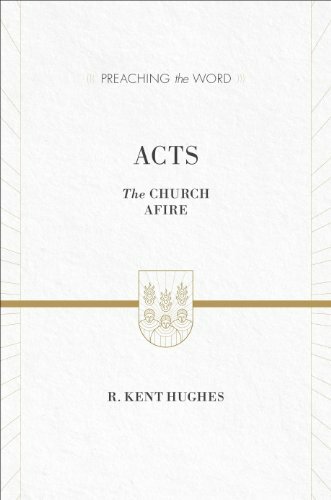 "In this welcome addition to the Preaching the Word series, Pastor Kent Hughes explores the key narratives of the book of acts, including the birth of the church, bold gospel preaching resulting in the prospering of the church, and the dramatic missionary journeys of the Apostle Paul. "When the Spirit of truth comes, He will guide you into all the truth." - John 16:13 "He who saw this has testified so that you also may believe. His testimony is true, and he knows he is telling the truth." - John 19:35 With time and experience comes wisdom. John, the longest-surviving of the apostles, recorded in his Gospel a portrait of Jesus that displays the depth of years of reflection on who Jesus is and what he means to the world. 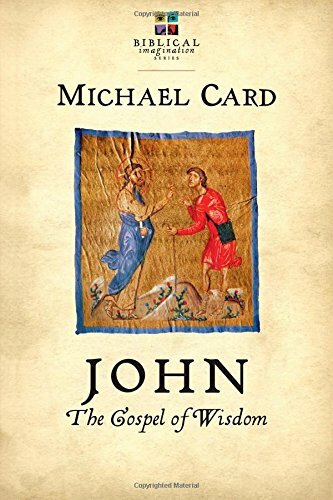 Writing in light of the philosophies of his day, John describes Jesus as the incarnate Word, the divine Logos, the embodiment of all truth and wisdom. In this last volume of the Biblical Imagination Series, Michael Card completes his work on the four Gospels. He shows how John stands alongside the other Gospel writers to fill out the picture of Jesus' divine identity, with stories and sayings of Jesus not recorded by the others. This Jesus reorients our understanding of ourselves and the world around us, offering us nothing less than the way, the truth and the life. Like John before him, Card has written these words so that we may better believe that Jesus is the Messiah, the Son of God, and that by believing we have life in his name. 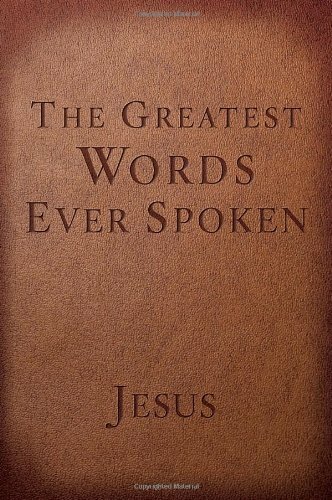 In this study D. A. Carson illuminates Jesus's message to his disciples after the Last Supper, in which Jesus proclaims the coming of the Holy Spirit and prays for himself, his followers, and the world. D. A. Carson clearly explains what Jesus taught his disciples the night before his crucifixion. 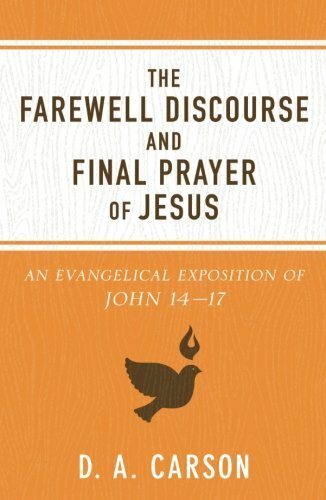 This exposition of John 14-17 helps students of the Bible appreciate Jesus's teaching on the coming and the work of the Holy Spirit, his high priestly prayer, and his commandment to love one another. This video demonstrates how the Word Biblical Commentary looks and works in the Bible Study App on an iPad. 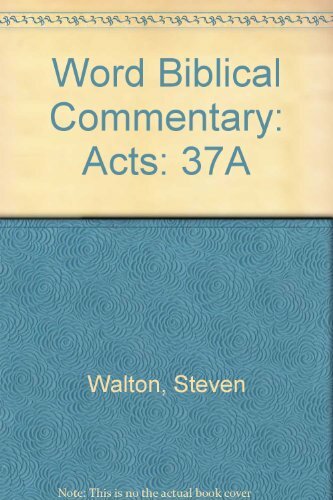 Compare prices on Word Biblical Commentary Acts at ShoppinGent.com – use promo codes and coupons for best offers and deals. Start smart buying with ShoppinGent.com right now and choose your golden price on every purchase.